Earlier detection of markers for pancreatic cancer. Better understanding of plant characteristics to help feed the world. Innovations in biomechanics that could change the way stroke, autism, COPD, movement disorders and other conditions are treated. New nanostructures – ultra-small materials that require highly specialized laboratory equipment – that could transform electronic, national security, energy and medical products. These are among the goals of University of Nebraska research supported by the Nebraska Research Initiative, a state-funded program that invests $11.4 million annually in equipment, facilities and grants that are building NU’s capacity and competitiveness in areas important to the state’s economy and quality of life. The Nebraska Research Initiative, created by Gov. Kay Orr in 1987, turns 30 this year. In that time, according to an Aug. 11 presentation to the NU Board of Regents, the university has increased its federal research expenditures in science and engineering more than five-fold, from $32 million to $172 million, and has built a research enterprise that grows Nebraska’s economy by $385 million annually. Most important, NRI-supported research is yielding advances in water and agriculture, cancer, medicine, food for health, defense and national security, engineering and other areas that impact the daily lives of Nebraskans and people around the world. Nebraska Research Initiative funds are managed by the Office of the Provost. NU faculty apply for funding in a competitive process, with multi-campus proposals encouraged. Funds are generally used for specialized research equipment, shared research facilities that allow for greater collaboration and efficiency, seed grants that can be leveraged into larger external awards, and proof-of-concept grants to help commercialize faculty research. 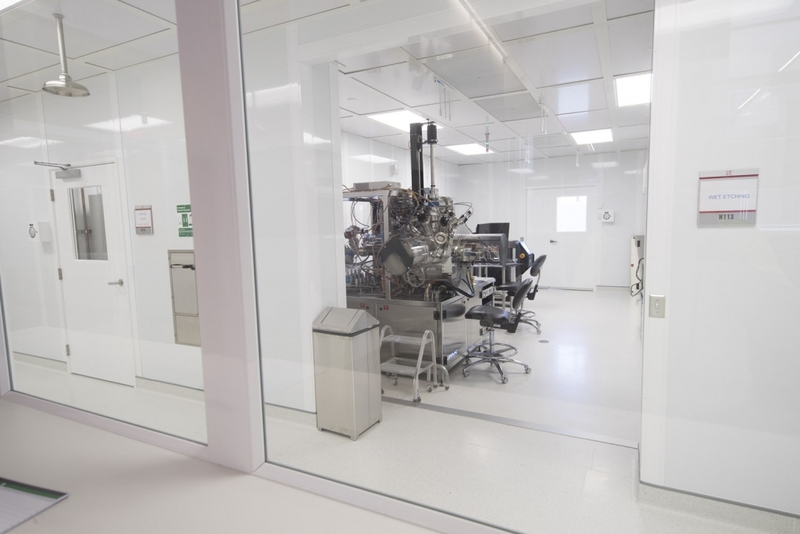 The Nebraska Biobank, a joint venture of the University of Nebraska Medical Center and Nebraska Medicine that opened in 2014, is a collection of biologic materials like blood, tissues and DNA that are used for medical research. The biobank receives NRI support. Biobanks help scientists understand causes of diseases, identify earlier and better markers for disease, develop targeted treatments, and advance public health, among other benefits, UNMC Vice Chancellor for Research Jennifer Larsen told NU regents. Materials from the Nebraska Biobank have been used in research on early markers for pancreatic cancer, the frequency of hereditary breast cancer genes in Nebraska, the relationship between Vitamin A throughout pregnancy and prematurity, and other projects. Early NRI funding contributed to the growth of the University of Nebraska at Omaha’s nationally known biomechanics program, which in 2014 won a $10.1 million grant from the National Institutes of Health – the largest in campus history – for research on the treatment of movement-related disorders like stroke and autism. UNO’s Center for Research in Human Movement Variability is now designated as one of NIH’s Centers of Biomedical Research Excellence. Initial NRI funding of gastrointestinal microbiology research at the University of Nebraska-Lincoln led to additional funding in food safety and human health and ultimately to the establishment of the Nebraska Food for Health Center, a new university-wide initiative that will link NU’s expertise in agriculture and medicine to develop crops and foods that can improve the quality of life for people affected by heart disease, diabetes, obesity, cancer, inflammatory bowel disease and other conditions. NRI funding supports plant phenotyping at the University of Nebraska-Lincoln. Daniel Schachtman, director of the Center for Biotechnology, told regents that phenotyping helps scientists and breeders understand plants’ physical and chemical characteristics – knowledge that can lead to improved yields, a critical outcome given that the growing global population is expected to demand twice as much food by 2050. The Nebraska Center for Materials and Nanoscience at the University of Nebraska-Lincoln receives NRI support, advancing its work that has applications in manufacturing, energy, national security, medicine, information technology and other areas. For example, nanoscience can advance work with lasers being done at NU’s National Strategic Research Institute, a university-wide partnership with USSTRATCOM to advance defense and national security research and development. David Sellmyer, director of the Nebraska Center for Materials and Nanoscience, told regents that faculty associated with the center have spun off seven startup companies.